Winter lasts too long in many places and Zurich is no exception. 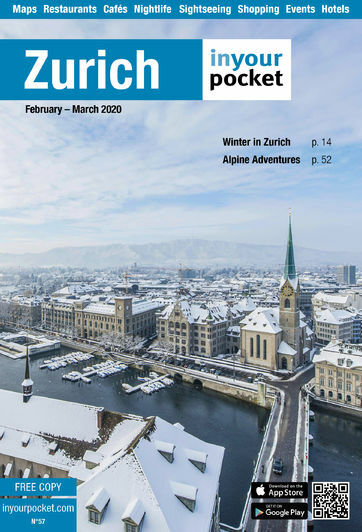 The Zürcher (Zurich’s citizens) have their own solution to this problem: winter is officially chased away with the traditional spring festival Sechseläuten (Sächsilüüte in Swiss German). 26 Zurich guilds (Zünfte) parade through the city centre towards Bellevue, where the festival climaxes at exactly 18:00 when a snowman-like figure called Böögg (see photo on the left, copyright by Daniel Steudler) is burned. When the Böögg’s head finally explodes the season of fog and cold feet is officially over (though there are no guarantees). Even if considered by some Zürcher as a rather old-fashioned and snooty event, the Sechseläuten is a spectacle you shouldn’t miss if you happen to be in Zurich. Thousands of participants, tens of thousands of spectators, hundreds of horses, dozens of horse-drawn wagons, bands and even a few camels on a parade in the middle of Zurich - makes a change to the standard rush hour. The parade is free, in some areas there are seats for which tickets are required. The festival originally celebrated the first day of summer working hours which ended with the toll of the church bells at six o’clock. Literally Sechseläuten means ‘The six o’clock ringing of the bells’. The guilds made the labour laws at the time, and though they have lost their central importance, one says it still makes it easier to do business in Zurich if you are a member.